Why and How Does An Ordained Minister of 25 Years Leave the Church? My personal testimony of how I came to leave the church is in the first chapters of my book “Come Out of Her, God’s People”. Most of my life I have been open and transparent, caring less about what others had to say about me. Lately, I have become quite private and much more guarded. I suspect that its a matter of “increased wisdom.” I personally wonder today if perhaps in “Come Out of Her, God’s People,” I may have shared way too much about my intimate life. In fact, I recall a few rather ignorant, jealous , ineffectual hypocrites attempting to take advantage of my openness in order to slander me. It did not work. Actually, it is difficult to slander a person who is not bound by the world’s religious standards. Even so, I am more guarded than I used to be. Nevertheless, since readers have reported how much my testimony helped them, I don’t regret writing the book. In regards to when and how to leave the institutional church, it has been my experience that the Holy Spirit will inform you when it is time for you to make your move. In fact, if I had not heard from Him in 2003, without a doubt, I would still be there. Why? Because the denomination left me alone to my own devices and as a result, I was enjoying myself doing my own thing in ministry. I was deceived into believing that I had the best of both the denominational and the charismatic church worlds. So at the season that the Holy Spirit led me out of church, I was pastoring a work that I had founded myself in 1996 for about 8 years at that time. Therefore, it had never crossed my mind to leave the church because in my own mind, I viewed myself as “there but not there.” So within my rational mind, it would be a mistake for a minister of the gospel to leave the church system after 25 years of faithful service. I was not about to rock the boat on my own, as such an action was way too preposterous an idea–absolutely inconceivable. I was settled and comfortable in the denomination, in spite of the fact that I had never really been embraced with open arms. Not only did I have spiritual covering from a well-respected denomination that left me to my own devices, I also had almost complete independence to bring forth Pentecostal, word of faith teachings in a cold and dry denominational setting. So what happened? How was I led out? Put ME out? This MUST be the devil, I thought to myself. They can’t put me out. I have been a faithful servant in this denomination for 25 years.!!!! Well, I did not have long to wait. I was at the Y, doing my afternoon lap swim when my pregnant daughter came waddling in and screaming “they are after you, Ma! The denomination is investigating you.” I got out of the pool, sat on its side and listened to my daughter’s emotional report. She had run into the proverbial grapevine. Yet this was not gossip. It was true. My dream was confirmed in less than a week. The denomination was setting me up to PUT ME OUT. A hidden religious enemy, a ministerial collleague targeted my website. At the time, I was exposing error among the mega preachers. I was not running a smear campaign but where there was error, I was boldly calling names. The denomination feared that I would cause some multi-millionaire to sue them. Ironically, an enemy that I had personally mentored had secretly planted the seed of fear in the Bishop’s ear. Since he never liked me in the first place, the Bishop grabbed that seed and ran with it. Under the Bishop’s wishes, my colleagues in the district voted to take my name off the rolls, under the pretense that I did not send them the annual dues of $660. I did not send it because I was purposefully facilitating my leaving by not showing up and also not sending them the money!!!! I did what the Lord said. I LET THEM PUT ME OUT! It took almost a year from the day I had the dream in early July 2003 for the denomination to remove my name from its rolls on June 25, 2004. I remember the day I was “put out” because I had a startling dream that very morning. I saw my head under the chopping block. I was beheaded. With that dream, it was revealed to me that I have the same ministry as John the Baptist: Like the Prophet John, my job is to preach repentance and prepare the way for the Lord’s SECOND coming. Anyway, I still had my church that I had founded. Since the denomination had not embraced my church, the Bishop had no authority or power to close it. So I continued leading my church, expecting the Lord to send me to another church affiliation or denomination. Various sects and word of faith churches made me some offers. However, it was quite clear to me that all they wanted was my money as well as my attendance at their various meetings and conferences so that they could obtain MORE money via conference fees. These mega ministries also planned to tax my church and take for themselves a hefty percentage of our donations each month. We were small and poor. I could not rob my own congregation to send hard-earned dollars to an aloof, uncaring mega preacher’s ministry, just to pay to sit on the front row of some televised conference. So I waited 3 years. My next sign was more powerful than a dream. I was wide awake. I heard a voice in my head ask me this question, “Pam. would you put curtains up at the windows of a condemned building?” I looked around to see if someone was there, but I was alone. I answered in my head “no.’ The voice continued. He talked for what seemed a long time. Then He said “Pam. You are planning to travel around the world to conduct deliverance training seminars in any church that will open its doors to you.” I answered, “Yes. !” I had already been to a church in Lawrenceville Ga and one in Bermuda. Now I did not want to believe that my 25 years in ministry was full of sound and fury, signifying nothing. So I tried the spirits for one year. Out of it came the book called “The Fake Jesus: Fallen Angels Among Us. Even more books followed. One conversation with the Spirit of God in 2007 led to a total of four more books, well over 1000 pages!!! So for the next 14 years, I have gladly put 25 years of religious acts without power behind me. In 2008, I closed the church that I had founded after 12 years. I simply put my religious past and all of its fake fruit behind me, moved forward, baggage free– following the leading of the Holy Ghost. For the last 14 years, my life has been filled with peace, revelation, real power and wondrous anticipation. FOR 16 YEARS, I THOUGHT I WAS SAVED! I had been on a quest for TRUTH since about 2006. I began to notice the problems with organized religion, and how it really got in the way of my relationship with God, and I left the organized church because I truly could not hear the Holy Spirit’s voice because religion and false doctrine preached in the churches kept getting in the way. Sure, I visited churches from time to time, but was never led by the Holy Spirit to a particular church. The Holy Spirit has been leading me to the truth the entire time. Now, still believing I was saved, I continued on, posting in facebook groups, sharing the truth I was learning, which was good, but because I believed I was saved at the time, I preached some error about salvation…error that included works…because that’s what I thought salvation was. This occurred when I had preached to someone about salvation in one of the groups. I was preaching in error…much of it was my pride of letting the guy know I was, “right.” Now, I have always had a lot of knowledge about Biblical things, and the Holy Spirit allowed me to discern a lot, but I still WAS NOT SAVED. Bible knowledge DOES NOT SAVE YOU! NOR DOES BEING A “GOOD PERSON” OR HAVING A GENUINE LOVE FOR JESUS, OR DOING CERTAIN WORKS TO ATTAIN SALVATION. The way I knew I was saved for sure was that when I heard the Gospel…it hit me like NEVER before. I talked with Pam by phone on June 26, 2012, and she asked me whether or not I believed I was saved. I replied, “Possibly.” You see, I knew the Holy Spirit had already been working on me about that, and I had recently started realizing that something was just NOT RIGHT…I started thinking about how I don’t think I truly repented and became a new creation back when I thought I had gotten saved back in 1996. Then, Pam preached the Gospel of Jesus Christ to me, and I knew that there was no way that I was saved because I wasn’t certain based on the Gospel. I didn’t understand the depth of what had happened…I just had knowledge. Throughout the day, the Holy Spirit began to convict me about who I was before him….he began to deal with me…I thought a lot my conversation with Pam…but it didn’t stop there…when I got on the computer that night, well early that morning…I pretty much stayed up all night…I watched Pam’s “False Conversions” video series on youtube…all of’ em! I began to truly understand what had happened with Jesus…and the DEPTH of what had happened. I realized that I had some “knowledge,” but don’t think I truly BELIEVED the Gospel! Right then, it was like faith just entered in me, and I believed the depth of it all. Details of the gospel resonated with me. He then led me to Galatians 5:19-23….and I saw my sin before me…I didn’t really see my sinful nature until that point. But the video, “False Conversion Part 2_the Resurrection,” that’s the one that hit home with me….namely, during the end where Pam describes his resurrection, using an example of a dead person coming back alive at their own funeral; becoming alive again in their same body, but then she goes on to say, THIS IS RESURRECTION. Then she powerfully says, “I believe a DEAD man lives, his name is Jesus Christ of Nazareth, and he is GOD!!!! 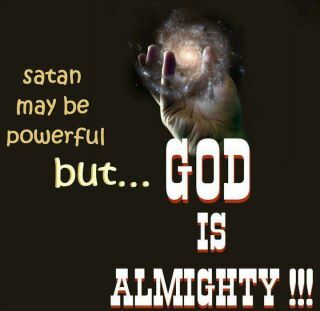 !” that, right there, JESUS CHRIST IS GOD HIMSELF IN THE FLESH…..resonated with me WOOO HOOO!!! !…I kept listening to that over and over again a few times…and I sat up and said, “Oh my goodness!” It never even occurred to me that I don’t think I really believed that JESUS CHRIST WAS GOD IN THE FLESH….just that part really helped me. Also the fact that he CAME BACK TO LIFE IN HIS VERY SAME BODY, and got up, in the FLESH!!! I kind of knew that, but not to the depth I that come to know it this time, and I’m not sure if I really truly believed that either, before. And, every time I heard Pam say that one sentence, my entire body would get a big huge chill…Not long after that, I couldn’t sleep, and something said, “Hosanna.” So, I immediately just took the computer in the bathroom, and listened to a you tube song that I know, called “Hosanna,” by Hillsong United. I watched the video yet again, and in my entire body, from head to toe I got a big, for lack of a better word, “chill” over my ENTIRE BODY…. all over from HEAD TO TOE….it was like having the chills to the maximum extent, if that makes sense. And then I said, “Well I just heard the Gospel of Jesus Christ :o, ” and smiled. I sat there for a minute. Then, on the computer screen (on the you tube screen where I watched the music video) there were suggested videos of the cross on the right…so I clicked one of the videos, and just watched the crucifixion and cross. I think I watched 2 more music videos…and was reminded, yet again how Jesus overcame sin and death for me. All of those sins that have been just so EASY for me to commit ALL THE TIME….he bore them. There had to be a blood sacrifice for our sin because God cannot accept sin….he did the ULTIMATE thing. He was the ULTIMATE sacrifice…it should have been my blood, but he took my place. The day before, Pam had preached the Gospel of Jesus Christ to me…like I’ve never heard it before…and that changed me. I now know that I am a NEW CREATION…it’s a big difference. The Holy Spirit power within me keeps me from indulging in sin…and it convicts me at all times to keep me from sinning. It’s hard to explain…but the power of the Gospel does something to you…once you really hear it and come to believe and have faith in what happened. I no longer wonder about my salvation. My eyes have been opened to the TRUTH. I will NEVER FORGET the power of God I experienced right in that moment on June 27, 2012 @ 4:42 a.m. I was joyful after sobbing over the fact that God did all of that just for ME…I just can’t live a life of sin anymore. I KNOW the Gospel of Jesus Christ now! Nobody can take that away from me! Everything happened real fast! lol When everything happened, I was like, “Huh?” I knew the Holy Spirit was in me when it happened…I recognized its presence. This is the part that is wild: THE HOLY SPIRIT ENTERED INTO ME, AND I RECOGNIZED ITS PRESENCE IMMEDIATELY. I KNEW IT WAS THE HOLY SPIRIT. You can’t believe the Gospel if you don’t understand it. You can’t understand it without it being properly preached to you. And without the understanding, you cannot be saved/ born again. But, religion, religious pride, and false doctrine blocks us from hearing the TRUE GOSPEL…happened to me for years. I have been saved, born again since Monday— March 29, 1977 at about 4pm. Yet, once I wrote the book “the Fake Jesus” about 5 years ago, I found myself cleaning out my own temple from the deceptive influence of Sananda, Ashtar and perhaps other so called ascended masters. You see, once the demons lost me to the One True God, they immediately set out to derail His plan for my life. Through dreams and other supernatural experiences, I was deceived on many levels for almost three decades..For 3 years BEFORE I was saved, I was steeped in the occult. I had healing powers and I was able to see into the future through astrology and other means. Once saves, my occult powers carried over into Christianity without my knowledge primarily because I was ignorant of Satan’s devices. Resist the devil and he shall flee from you. Whether in ignorance or by design, when a person has made an appeal to Satan’s services by either a formal pact or an informal agreement, that person has unwittingly submitted himself to the powers of darkness.. When signs, wonders and strange religious practices that did not emanate from the Holy Ghost are accepted as divine, a spiritual invitation is made to the fake Jesus. Without hesitation, the fake Jesus pushes his way through the doors of your soul. . My testimony is too long for one blog. However for the sake of the subject matter at hand, I can testify that I was one who ignorantly made an informal pact with the fake Jesus by not properly severing ALL of my ties to my pre-conversion practices of occultism and mediumship. Through presumption, I assumed that once saved, ALL of my occultic practices of the past were behind me, since I had burned all of my astrology and occultic books in 1983. My personal testimony is a classic example of how the fake Jesus can fool a true Christian by deception, capitalizing on its target’s ignorance of certain spirital matters. Hosea’s word continues to ring true. (Hosea 4:6) God’s elect are overwhelmingly deceived and if we are not careful, ultimately destroyed by a lack of knowledge of how “all spiritual manifestations are NOT from God!”Another reason why I share various aspects of my own personal testimony is to give you hope and confidence that the principalities and the powers of heaven shall not win. We overcome by the blood of the Lamb and the word of our testimony and I am an overcomer. The reason why I have not been convinced about tongues is that for 25 years, I was not able to find a bonafide interpreter, nor was I able to interpret myself. So I ask, “Where are the interpreters?” The Holy Ghost does not expect me to throw away my commonsense. If I have prayed off and on for decades to receive the gift of interpretation of tongues as Paul suggests that we all do, 25 years passed and I still found no one, including myself to interpret my “prayer language”, good sense suggesedt to me that the tongue that I received in 1983 is not from God. So if it is not from God, then who did it come from? This books connects the dots between the church system, the new age movement and the ascended masters, aka the fallen angels. Well, its obvious. It didn’t come from me. I suspect that it came from one of the Ascended Masters, perhaps Sananda or Ashtar. What would be the reason for the demons to desire to imitate tongues? Well, if we don’t know what we are saying when we speak in an “unknown” tongue, we could very possibly be used by demoinic beings to “decree and declare” that their will, purposes and agenda be done on earth, rather than that of the will of the Father of Abraham, Isaac and Jacob, the One, True and Only Creator–the one that Lucifer rebelled against in the first place. In conclusion, I have been involved in almost all of what is passing itself off today as emanating from the Holy Ghost. Early on, I was groaning and weeping in very strange ways beginning in 1979.. Kenneth Copeland provided me with the explanation that I was looking for, confirming to me that my strange experience was a manifestation of intercessory prayer. Kenneth taught that the strange weeping and groaning that I did was a sacrificial work for the lost and the bound, emanating in travail from the Holy Ghost. TD Jakes and his “wailing women” seminars concur with Copeland. So Copeland, Jakes and others had me convinced that God was using my travail to break yokes and bondages, ie. setting captives free. Since I believed that the Holy Ghost was using me to intercede, it is only natural that I held on to this strange work. My mind was certainly unfruitful when I travailed and so often I tried to guess the reason behind it. I convinced myself that much of my groaning and weeping was for sinning preachers to repent. If so, it did not work. They just kept on sinning. I also laughed wildly in the spirit before I even heard of Hagin and Brown’s practice of what is called “holy laughter.”. My laughter was different, as I believed that the Holy Ghost was using me to laugh at the devil. When I laughed, I cried also. I found several scriptures to support my style of holy laughter and so I never tried this phenomena to see if it be of God. I just assumed that it was. The only supernatural experiences that I have not personally experienced is holy dance and shouting, African American style. Perhaps that is because I have no cultural background in the South and I was not raised in an African American Church or any church. In other words, holy dancing was not a part of my ancestral upbringing. Furthermore, even though demons could no longer “step into me and speak,” some of my mediumistic traits DID survive my conversion. Nevertheless, when a counterfeit was exposed by the Holy Ghost in recent years, I have been duty bound to remove it by repenting and disavowing it. For example, I could heal BEFORE I was converted. I sucked pain out of people with my hands, particularly my left hand, BEFORE I was converted—proof that my healing gift was mediumistic and not charismatic, NOT OF THE HOLY GHOST. Once I realized that my healing gift was tainted, I have made every effort not to touch anyone unless I am sure that I am being led by God to do so. I know today that more was required. I have come to the conclusion that my healing gift was not from God and therefore I vehemently repented, rebuked, resisted and renounced it. Perhaps the Lord will give me the true gift of healing from the Holy Ghost. Perhaps not. I just kept on cleanin house as I press toward the mark of my high calling and truth flooded down upon me like rivers of living waters.. I resisted the devil and he fled from me. Here is another example of my occultic powers influencing my Christian service. Since I could see into the future through astrology and through dreams BEFORE I was converted, I had never learned the absolute neccessity of trying the spirits to see if they be of God. As I look back over my Christian journey, some of my most significant dreams of future events that actually transpired were sent by the Fake Jesus. I see now with a clarity that I have never had before. The fake Jesus uses counterfeits of the Holy Ghost as “a hook.” Whenever I receive information of a futuristic nature in a dream about people I know, I rebuked the spirit of divination. Now I rarely hear from this demon. In the last seven years, when the Lord wants me to know the future, I just “KNOW IT.” Very quietly. Don’t have to see a thing. I walk in faith these days and I don’t have a need of knowing the future as I once did. I soberly remember the Lord’s warning: A PERVERSE NATION SEEKS AFTER A SIGN! So, yes, I can admit without reservation that I myself have been deceived by the fake Jesus, and it has taken all of 30 years to get clean. There is evidence that I am completely clean but seriously speaking, I can’t yet say that I am absolutely certain. I wait on the Lord for Him to expose what may yet need to be uncovered. How do I feel as a dedicated believer in Jesus Christ of Nazareth, the Only and True Begotten Son of God who has been deceived by the Fake Jesus for decades? Do I feel like a failure,–fooled frustrated, faithless ? Bamboozled, run a muck? To that, I must say, emphatically NOOOOOOOO! 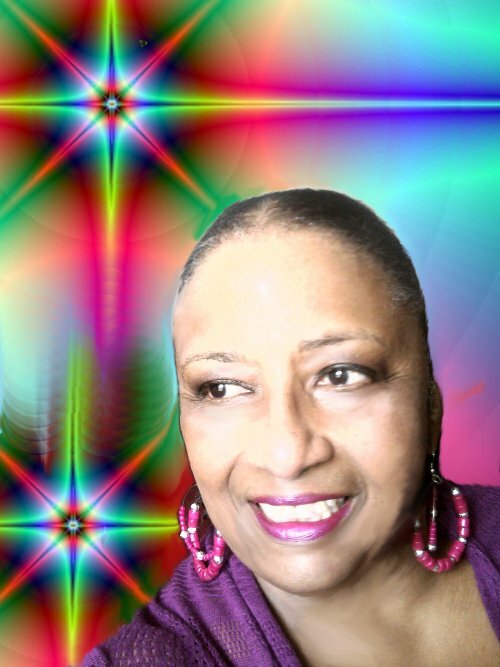 I am joyous, relieved that real truth has truly revived me and I am free at last!!!! .And I declare, ” BETTER LATE THAN NEVER!!! You see, in my relentless search for truth, the Holy Ghost has granted me the wisdom to deny all mediumistic gifts once He has exposed them to me. However, He would not expose them to me until I was willing to humble myself, In this regard, humbling myself involved questioning every significant supernatural experience that I have had since I have been saved, including my conversion experience, which itself was “supernatural.” As such, the quality and consistency of the wisdom that I have received in the last 7 years as compared to the previous 27 years, is truly beyond comparison. And the wisdom of God just keeps on coming. TO PREVIEW THE FAKE JESUS, CLICK ITS COVER ABOVE.